Official says outlook is "uncertain" and some fisheries could even face closures, as Fisheries and Oceans Canada prepares its 2018 management plans. As salmon fisheries get set to open on B.C. 's North Coast in the next few months, anxiety in the region is high. Fisheries and Oceans Canada is preparing 2018 management plans for the various fisheries in the region. That includes major salmon-bearing rivers in B.C. like the Skeena and Nass, which are important for First Nations, subsistence fishers and tourism. But one DFO official says the department is already anticipating below average runs and closures or restrictions on catch limits are possible. 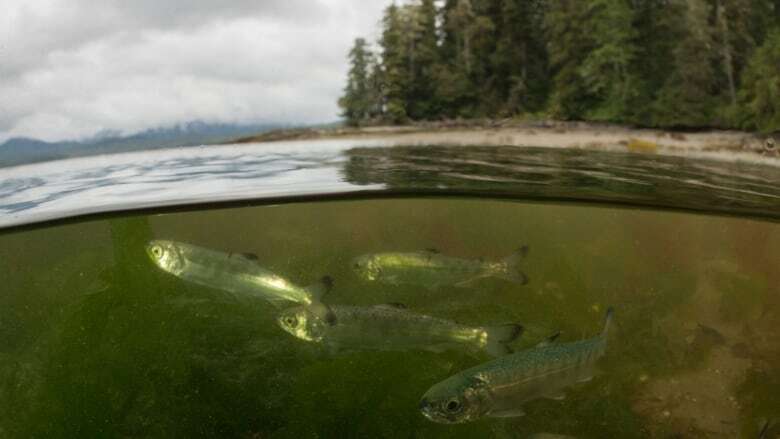 "Fishing opportunities are uncertain," said Pacific director of salmon management Jennifer Nener. "We've really seen a coast-wide trend, specifically with chinook … with reduced returns, lower productively levels. "We're quite concerned. We're not sure exactly how it's going to play out." The two salmon species of concern, Nener said, are chinook and sockeye. She says fewer fish are returning to spawn and they are coming back in reduced size, which could mean fewer eggs and fewer fish in the next generation. Nener says the suspected culprit behind the poor runs is the Pacific Ocean "blob," a mass of warm water that has lingered for years and disrupted marine ecosystems. It hurt salmon, she said, by disrupting cold-water organisms like zooplankton that they feed on. She says it could still take several years for salmon to recover from the blob's effects. Giving the example of Skeena River sockeye, Nener says current estimates call for about 640,000 fish to return to spawn. Anything under 600,000 would cause the department to close the fishery. But, she stressed, estimates are not always correct, so the department is taking a "precautionary" approach. A total closure of salmon fishing on the North Coast is "pretty hard to imagine," she said. Still, according to a sport fisher who is advising DFO on their management plan, the threat of any significant closures is serious. Dave Lewis with the Prince Rupert Sport Fishing Advisory Board says closures could threaten the local tourism economy, which relies on charter fishing for direct and spin-off jobs. "People have a lot of concern up here and not knowing is not helping things," he said. "There's a lot of uncertainty for the ocean. There's definitely talk of cuts. How drastic, we'll see." Avoiding all-out closures is the goal, he said, as are any sudden closures that could impact advance bookings from tourists who flock to the region to catch chinook. "If fishing's closed, they wouldn't be coming," he said. "There'd be a lot of boats for sale because people can't pay the bills if they're not working." Nener says consultation on the management plan will wrap up in early April and the plan for the North Coast should be ready in early June.